More centers are empowering agents to go off script to deliver personalized, authentic experiences. Is there anything more frustrating as a customer than waiting in queue for live assistance only to reach an agent who delivers wooden, scripted responses that don’t quite match up to your questions and comments? Our increasingly digital world intensifies the desire for the contact center’s human touchpoint to be… well, human. According to recent research by Verint (“The Digital Tipping Point”), most customers (79%) still prefer the human touch when engaging with brands and service providers—especially with complex transactions. As customers, we want a personalized experience. We want to interact with a knowledgeable agent who understands the context behind our call and can tailor his or her responses to our specific situation. Whether it’s on the phone or via live chat, scripted, one-size-fits-all responses fall far short of satisfying that requirement. Certainly scripts are reasonable, and even preferable, in standardized encounters where businesses want to ensure efficiency and consistency (e.g., would you like fries with your order?). They also can improve call efficiency by keeping conversations on track, and ensure that agents in highly regulated sectors follow compliance procedures. And there is no doubt that scripts are very useful as a training tool for new-hires and temporary agents who are unfamiliar with a company’s products, processes and policies. However, for businesses that aim to differentiate their brand based on customer experience, strict scripting acts as a barrier to delivering the type of authentic encounter that inspires satisfaction and loyalty. Most agents simply are not good enough actors to deliver scripted interactions with energy and genuine empathy, and they’re certainly not able to pull it off consistently call after call. In the end, empathy statements come across stilted and insincere, agents stop actively listening to the caller’s responses, and many don’t know how to engage when the caller goes off script. 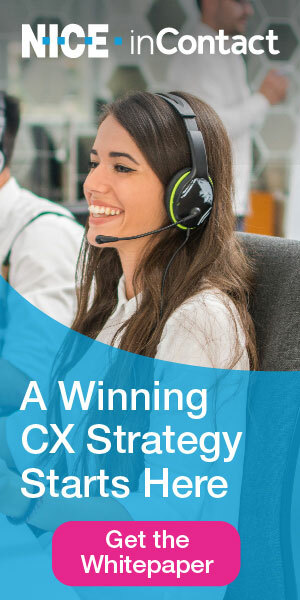 Over the past couple of years, I’ve spoken with more contact centers that are focusing on delivering exceptional customer experiences by doing away with strict scripting. Some limit scripts to certain parts of the calls, such as the greeting and closing. Others have found that providing agents with guidelines and talking points rather than verbatim scripts makes for a more enjoyable experience for both agent and caller. The following are three examples of leading service providers that have put in place effective processes and tools to allow their agents to go off script. Online retailer CARiD is focused on providing an engaging customer experience similar to the type of personal attention offered by a VIP in-store concierge. Major attributes his staff’s success to CARiD’s training and QM process, but he adds that it starts with hiring the right individuals. Instead of recruiting agents based on past phone experience, contact center management looks for candidates with experience in a face-to-face service environment. Once the right candidates are brought on board, they undergo a comprehensive 90-day training program that starts with an onboarding process to learn CARiD procedures and policies in a classroom setting. From there, new agents spend 10 to 12 days learning about the various automobile manufacturers, how they fit within the industry, and learning about the most popular products. After the initial training process is completed, new agents spend time in an incubation process before progressing to the contact center floor. The incubation process teams one to three agents with a supervisor or team leader in an isolated room. Agents take calls in a safe, supportive environment while receiving one-on-one coaching and feedback. Online print and design company MOO has focused as much attention to designing the online customer experience as it has to its products. Whether they’re handling a chat, phone call or responding to an email, MOO customer support agents are trained to treat each customer as unique and to resolve each issue in the way that they think is best. They’re not required to follow a script, nor are they limited by rigid policy rules (e.g., MOO’s products are backed by a “no quibbles” customer service policy). For instance, to help staff move more smoothly through live chat interactions, the center introduced shortcuts to reduce agent clicks and lower handling times—for instance, collecting an order number upfront during a chat so that agents don’t have to ask customers for it and then re-enter it; or a shortcut link that allows agents to open an order in the admin system with just one click; or macros that allow agents to close tickets automatically rather than manually. MOO’s award-winning chat support provides an experience that is authentic as well as effective. Every agent has his or her own custom avatar, which helps to deliver a more “human” interaction—one that customers find engaging and memorable. Likewise, agents are trained to use a conversational, informal tone. “We try to mirror customers and keep it playful whenever possible,” Moross says. “Obviously there are times when you can’t do that, but for the most part, we want using chat to be a pleasurable experience, and not a chore.” MOO’s customers seem to agree—the customer satisfaction rating for live chat has held steady in the high 90s. Dallas-based power provider Stream Energy’s success is based on word-of-mouth recommendations and a loyal customer base. A few years ago, the energy provider made the move to remove scripts in the contact center after feedback from customers suggested that the call script was hindering the agent’s ability to develop a genuine relationship with customers. Stream Energy’s contact center leaders felt that a better customer experience would be one in which agents have the freedom—and time—to be more personable with simple things like asking customers about their day or being empathetic to their concerns. How? By providing agents with the skills to handle various types of calls and improved access to knowledge to resolve issues. Management revamped the training program to include recurring “empathy and engagement” modules. Along with the enhanced training, the center has examined and revised certain policies and procedures to help agents provide a better customer experience. One example is expanding a payment assistance program to make more customers eligible, which allows agents to provide better service. Obviously, allowing agents to go off script is not a step to be taken lightly. Management may have to revise hiring profiles, and training and tools will need to be in place to allow agents to quickly assess, problem-solve and access the appropriate solutions to callers’ issues. The following are a few tips that can help you to prepare your center to provide a more human experience. Provide agents with comprehensive training in your company’s products, services and processes. Give them firsthand experience in the look and feel of products, how they work and what it’s like to use products that they will be supporting. Have agents go through the signup and termination processes for services, as well as online and over-the-phone returns processes. Providing agents with the customers’ view of products and processes will provide much-needed context to their interactions. Use scripts during training role-playing scenarios. Once agents have learned the required components of the call and can confidently deliver the information, conduct “scriptless” role-plays in which agents are encouraged to deliver the information in their own words. Provide agents with talking points, keywords and/or phrases to use as a call guideline. Have supervisors and coaches work individual agents to develop personalized “miniscripts” with their own words and phrases that they can use naturally during conversations with customers. Veteran staff members can provide valuable feedback on your current scripts. They know what works and what doesn’t, which elements are natural-sounding, and whether certain words, phrases or terminology feel uncomfortable, forced or are confusing for customers.